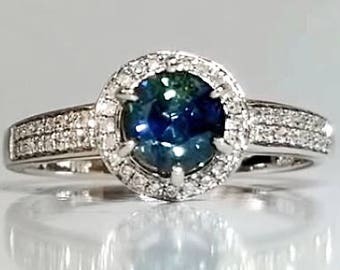 This 1.01 total carat weight piece holds a dreamy 0.91 ct Sapphire with 0.10 ctw diamond accents. 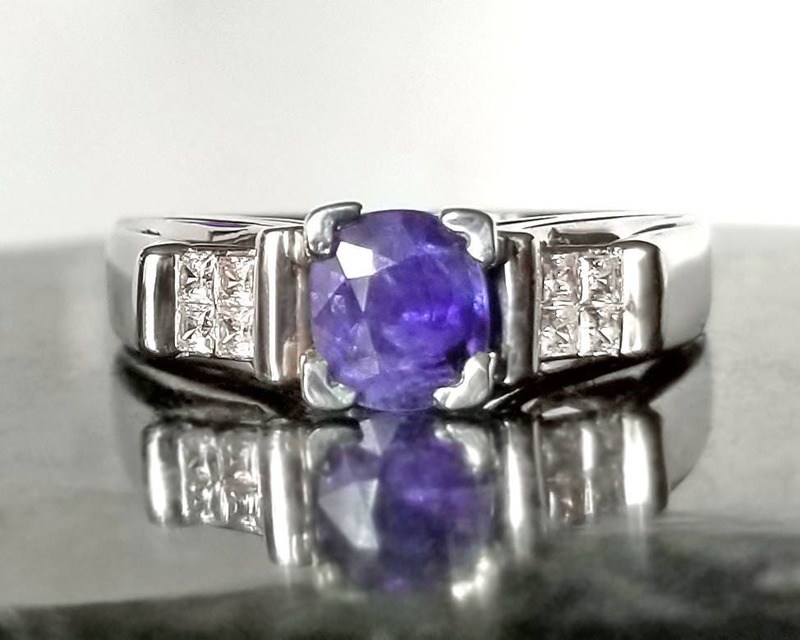 The cushion cut sapphire and natural diamonds are a lovely marriage of vintage elegance with a modern flair in Sterling Silver. 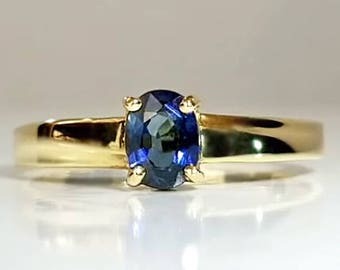 This natural and untreated Sapphire has a medium blue color, with a subtle purple undertone. 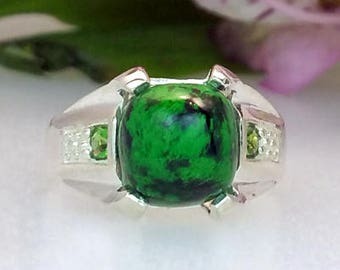 A Certificate of Authenticity with Valuation Report by a GIA Accredited Jewelry Professional is included with this item. 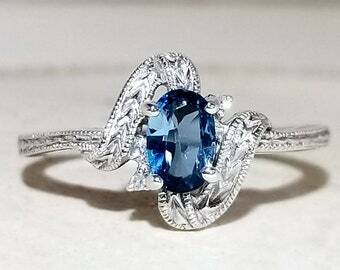 Estimated replacement value: $700. 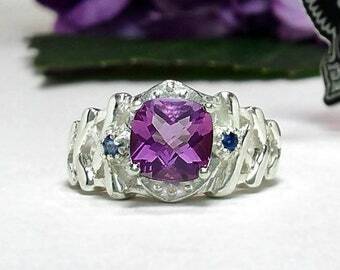 If you require resizing services, please message me prior to purchase to confirm sizing is possible and if any additional charges may apply. 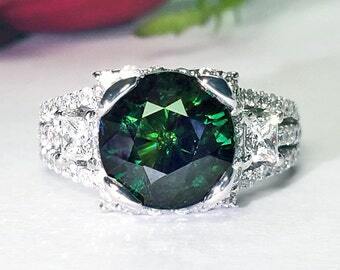 Allow up to 7 business days for resizing/customization of your ring. 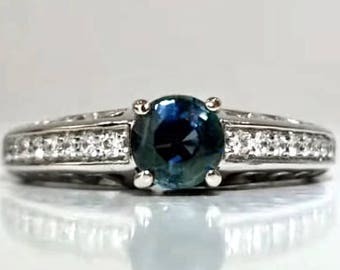 Customized rings cannot be returned for a refund. 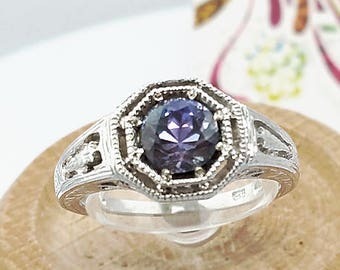 Please see store policies for additional details. Amethyst & Sapphire Ring in Sterling Silver / Ultraviolet February Birthstone Fancy Checkerboard Cut Ring / De Luna Gems / Free Shipping! 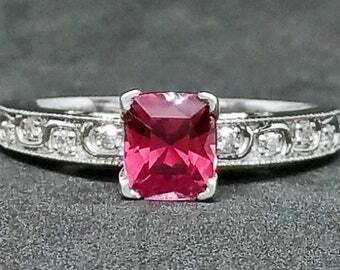 Tourmaline & Diamond Engagement Ring in Sterling Silver / Unique Natural Rose Red Gemstone Engagement Ring / De Luna Gems / Free Shipping! 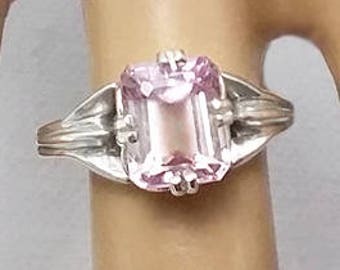 3.4 ct Light Pink Kunzite Ring in Sterling Silver / Natural Emerald Cut Pink Diamond Style Engagement Ring / De Luna Gems / Free Shipping! 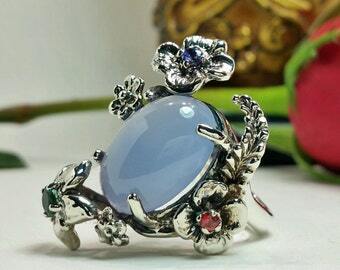 Blue Chalcedony Floral Fantasy Ring in Sterling Silver / Natural Lavender Periwinkle Gemstone Ring / De Luna Gems / Free Shipping! 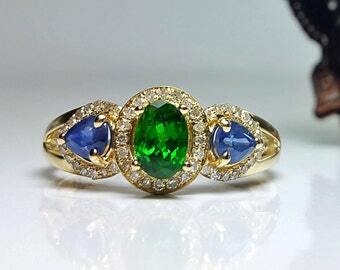 1.3 ctw Tsavorite, Sapphire and Diamond Ring in 14K Yellow Gold / Rare Natural Green Garnet Engagement Ring / De Luna Gems / Free Shipping! 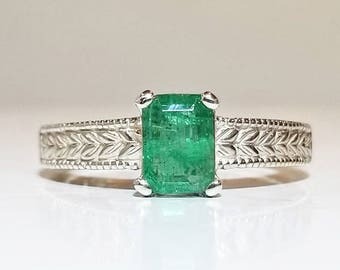 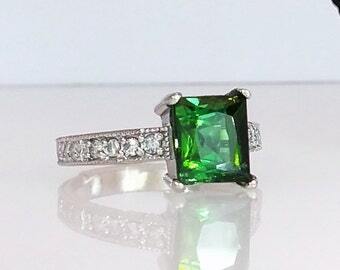 1 ct Emerald Ring in Sterling Silver / Natural Emerald Cut Vintage Style Filigree May Birthstone Ring / De Luna Gems / Free Shipping!